Yep. You read correctly. 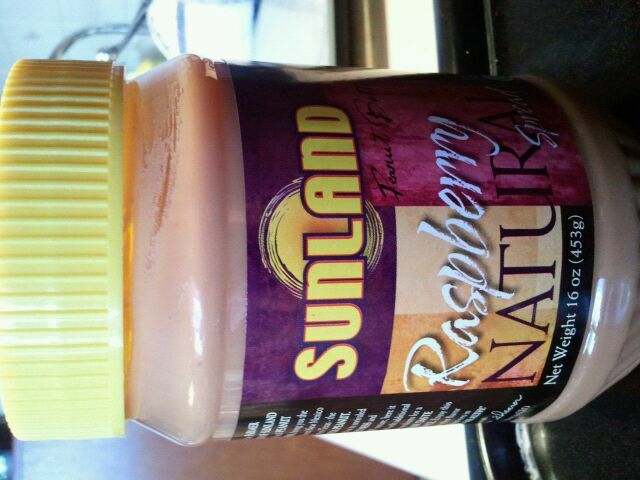 Raspberry Peanut Butter. You KNOW I was excited to try this when I saw it in the store! Immediately into my cart it went for me to buy and well… enjoy ! On my drive home, I couldn’t imagine what this was going to taste like. Very tart? Very fruity? Awkward tasting? Here’s what it looked like straight from the jar (of course, I had already eaten some at this point! 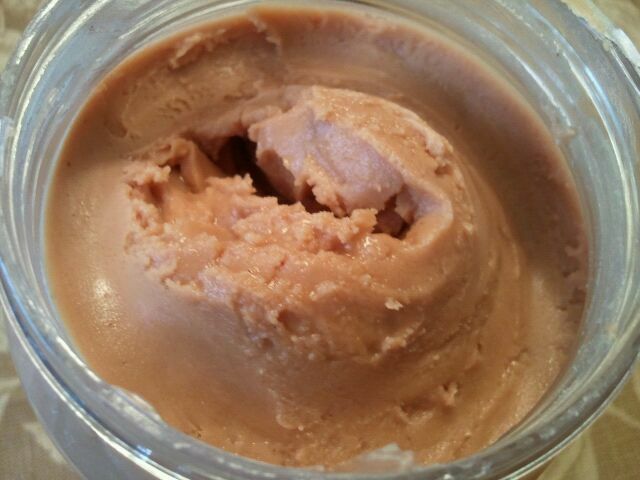 )- a very thick peanut butter, HARDLY any oil separation or stirring required! 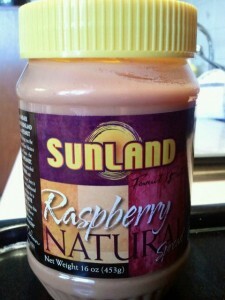 I would say predominantly, it was a sweet peanut butter, with an awesome raspberry flavor. Not a fake raspberry flavor, which I really enjoyed! 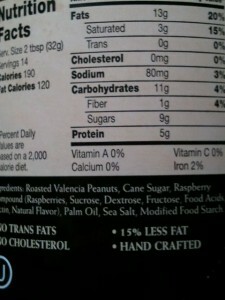 It had a slight tart flavor that raspberries often have, and also a slight salty after taste. It really was incredibly tasty! I have only eaten it straight from the jar as of yet, but I think it would rock on oatmeal or toast too. I also like that it wasn’t a super runny peanut butter. I do love super runny nut butters, but sometimes they are not practical for eating straight from the jar with a spoon (been there, done that….lets just say I got peanut butter EVERY where!!). This one literally sticked on the spoon! 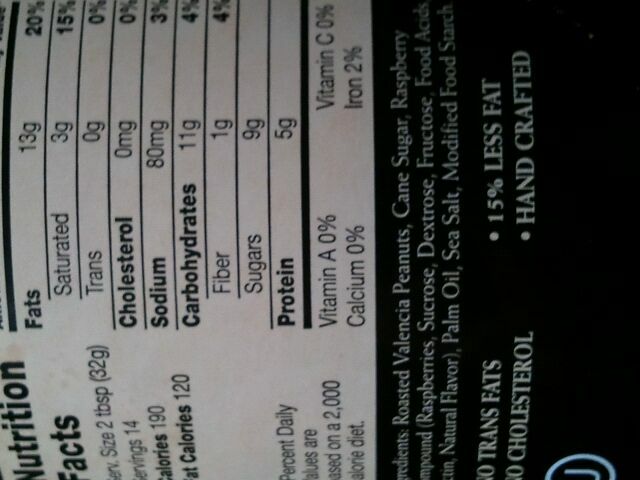 And, by request, here’s the nutritional breakdown in picture form, straight from the jar! If you could put ANY fruit in a peanut butter, what would it be? I think mango or strawberry peanut butter would be really tasty!